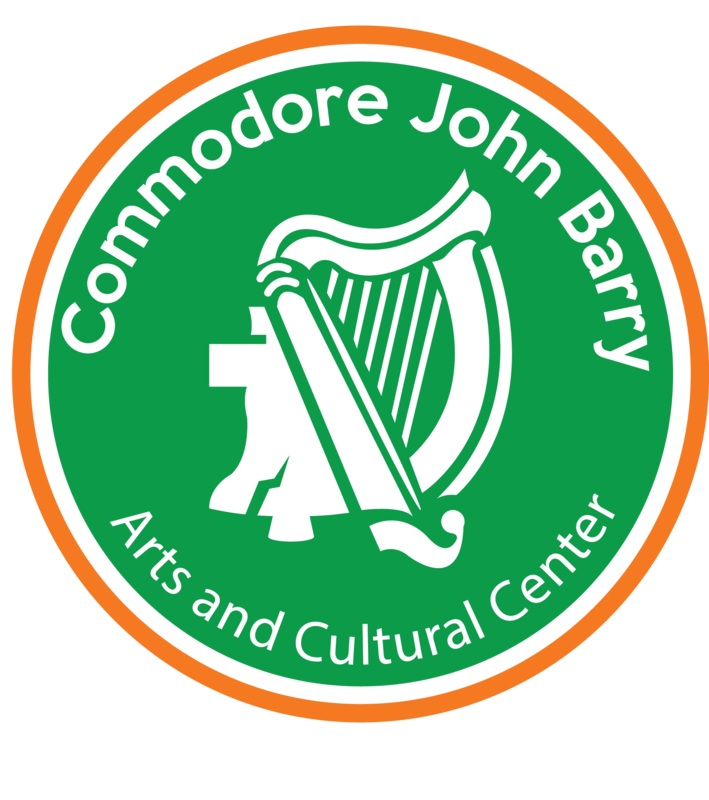 Commodore ISP John Barry Arts and Cultural Center – Your home for Irish culture in Philadelphia. Commodore Barry Day Social Event at 1:00PM. Members of the Commodore Barry Club of Brooklyn will be joining us for an afternoon of music and dance. A buffet dinner will be available at 1:30 for purchase and there will be a cash bar. A service will be conducted at the gravesite of Commodore John Barry at Old Saint Mary’s Church after the 11:00 am mass at the Church. We thank the committee who organized and ran the Designer Bag Bingo Night last week. It was a huge success with several hundred people in attendance for a night out to support the Irish Center. We have just booked Liam McLaughlin, from County Antrim, for a night of social dancing on Friday, July 21 at 8:00PM. It’s fun to learn tunes and build repertoire in a group. This class is open to all instruments, focusing on the melody in traditional Irish tunes. The class will learn 1 or 2 tunes per week, put together sets of tunes, and play them. Many times! For this summer class, we’ll learn a set of jigs, reels, and polkas, and a hornpipe. The class is geared toward advanced beginners (not absolute), up to intermediate. Tunes will be learned by ear. I will post mp3s of the tunes on my class web page, and include additional examples for listening. $100 for four classes and access to the class web page. Please don’t let lack of money prevent you from coming. Let me know if you’d like to attend. Please contact Hollis Payer to register for the class or if you have any questions. The Commodore Barry Club continues the process of transferring to our new entity, The Commodore John Barry Arts and Cultural Center – a 501(c)(3) tax exempt organization. A local company, Character Productions, is now producing several Irish Themed Philadelphia based projects for Irish TV and Public Television . The producer/host of Character Productions is Bob Charger, formerly with CBS radio in Philadelphia. The company is producing several Irish themed documentaries and shows for Public Television (some national, some regional). They are currently in post production/editing of a highly anticipated and thoroughly entertaining Irish Philadelphia Feature Length documentary (18 months of production) and Philadelphia St. Patrick’s Day TV Special. Both will be ready in early 2017. They are also shooting an Irish Themed TV Pilot for an episodic series ( 6 episodes) on The Irish Presence in The Delaware Valley and a TV special on Duffy’s Cut. Character Productions has been to the Center on several occasions conducting interviews with members, in addition to the interviews that have taken place around the Delaware Valley. Character Productions is hosting an information meeting this Sunday, December 4 at 11:00AM in the Center. The meeting is directed toward business, social, and civic organizations who can help to underwrite and support the efforts of Character Productions. I have included a film trailer below that features comments from some of the people who have been interviewed. So here’s the point: if you have Irish in you, we here at the Commodore John Barry Arts and Cultural Center open its arms to you. Consider the Center your own little bit of Ireland here in Philly. The Center serves as the home for any number of Irish organizations and societies, including the Philadelphia ACLS Certification Group, Danny Browne AOH Division 80, and the Cummins School of Irish Dance. Lessons in Irish music and dance for adults and children are held weekly. A traditional Irish music session is held most Friday evenings. We even show broadcasts of Gaelic sports, live from Ireland.